A van filled with gas bottles has been driven into the Australian Christian Lobby (ACL) headquarters in Canberra. Fire destroyed the vehicle and blew out the ground floor windows of the Eternity House office building. The incident took place at about 22:45 (11:45 GMT) on Wednesday and police confirmed the driver was the only person injured. Lyle Shelton, the lobby's managing director, was relieved no staff were present during the "targeted attack". "This is an attack on free speech in Australia which I am deeply shocked about and never though I would see in my lifetime." Local media have reported that the driver of the vehicle was taken to Canberra Hospital for treatment. Australian Capital Territory Police confirmed they were investigating the incident but did not say if they were treating it as suspicious. 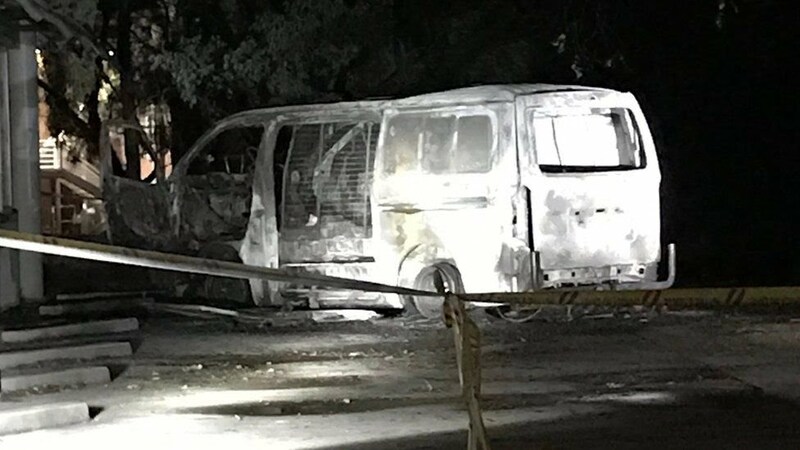 0 Response to "Read This, Australian Christian Lobby hit by 'car bomb' in Canberra"